As the new CEO of Research In Motion, Thorsten Heins has been doing a lot of interviews this week, including a couple with our own CrackBerry Kevin. 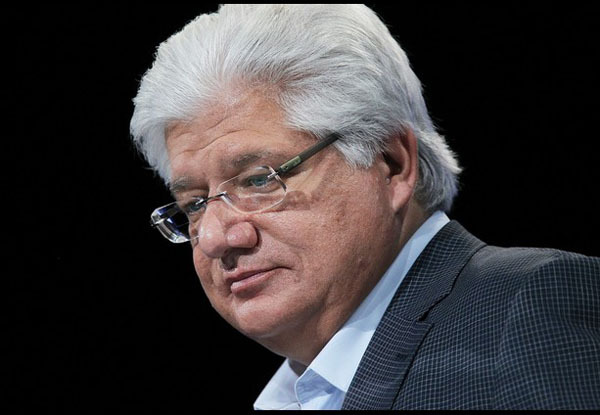 He's not the only one sharing his thoughts; Mike Lazaridis, former co-CEO and one of the founders of RIM, sat down with The Record for an interview as well. He revealed that not only was this decision not made overnight, but in fact was planned out over the last four years, as Thorsten was groomed for the position. Even with all of the planning, Mike admitted that stepping aside after 27 years was an emotional event for him, as well as for his whole family. “Working so hard, with a 24-by-7 workload for so long, my biggest regret was not having enough time for my family. I need to correct that over the next few years. My kids have not gone to university yet, and so hopefully, I will correct that before they leave,” said Mike. Mike Lazaridis will remain at Research In Motion in a new role as vice-chair of the board and chair of the board's new Innovation Committee. He hopes to inspire and mentor future young entrepreneurs that will build the next big technology company in Canada. He encourages all Canadians to believe in their country, and never make the mistake of underestimating their abilities or the great institutions they have built.